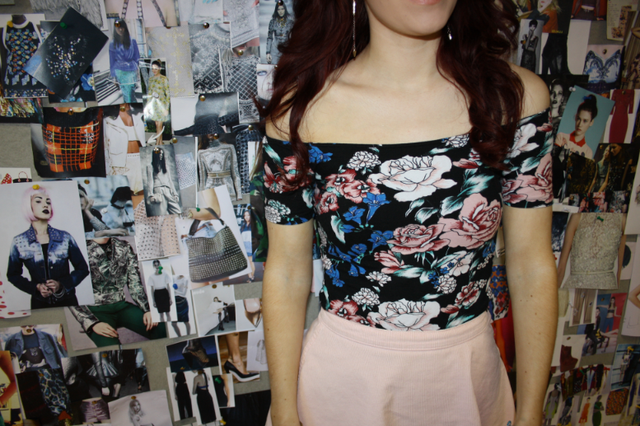 Another outfit post, I'm on a roll again! These photos were taken by Sophie at Motel (thank you!) - we are really getting into the swing of taking snaps now and should be bringing them to you regularly woo. I get such tripod and self-portrait troubles that I find it so hard to take a photo of myself in my room! These were taken this week when I wore my American Apparel Riding Pants, which I wear probably at least once a week in blue or black. After feeling like skinny jeans would be a bit too casual for the office and for my daily outfits, these are almost like the most perfectly fitting jeggings. They're pricey at a high £64, but the wear you get is huge and I got both of mine when they had a 30% or 20% discount. A tip for shopping is to look for discounts around payday - retailers will always have something to offer at the end of the month! I'm standing a bit twisted here but the Riding Pants are super comfy - I wear a Small and they fit perfectly. American Apparel sizing can vary so I would try on a few of the same size to get the perfect pair - they may all be ever so slightly different! I wore my off shoulder lace top from webshop Tobi too, which is no suprise as the only tops I seem to be wearing ever right now are off shoulder ones!! I think I signed up to Tobi emails randomly, and almost every day they will send out their New Arrivals with 30% off for one week. It's quite strange to discount your newest stock but I guess that is how they test the market, and I always scan their emails. I'm pretty sure they had a 50% off day so I ordered this top and a dress, but the dress was a polyester monster. Sites like Tobi will buy wholesale stock from the east and sell it all together under their website roof, so it's always hit and miss when ordering. I don't really like buying from places like that as they are so unpredictable, and that was definitely confirmed by the mixed order. The bright side is that I love this top though and have worn it loads since I got it in August. They don't have it online now but they do have other pastel off-shoulder things. And that is generally often what I wear to work! I must admit though, I do undo the top button of the pants when I'm sitting at my desk all day - those things are like spanx! Hi guys! It now seems like years ago but I visited home on the weekend and always have a lovely time. I don't go very often as it's so expensive so I try to fit in seeing as many people as possible! On the Friday night I visited my Mom's newish house in a small, pretty town and my sister over came that night too when I dyed her hair. I had two rather exciting things to try/wear on the Saturday as it was my oldest/longest friend's birthday and I was taking her for dinner and then getting a limo for a pub crawl with everyone! The limo was a surprise and it took all my willpower not to mention it while we were eating and shopping! 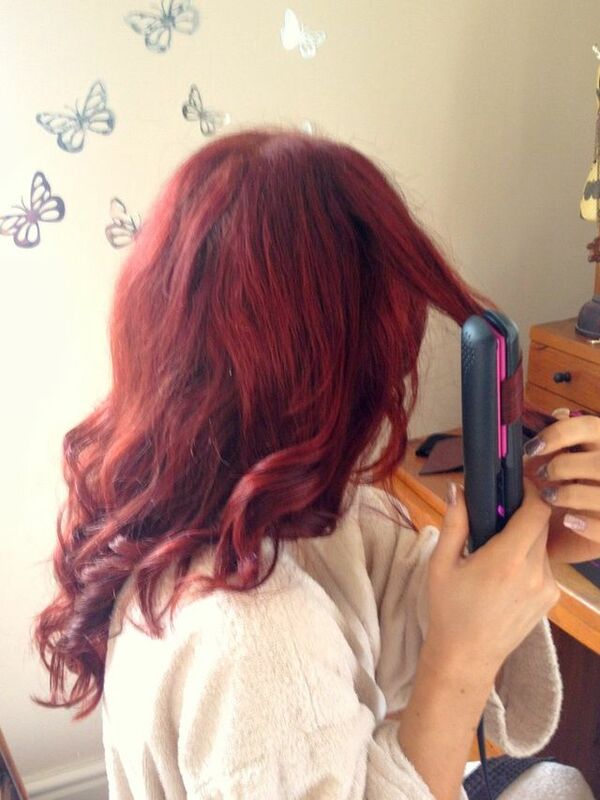 I got up at about 8am because I was really excited to get ready for a night/day out as the day before I was ecstatic to receive the Cherry Blossom GHD styler! The cherry pink makeover supports Breakthough Breast Cancer so I donated the £10 too as these were given to me as a gift to show you guys. The styler is set to create any hair for any occasion but of course my favourite is the party hair as I am all for big, bouncy curls with height! Whenever I go to the hair dressers, they blow dry my hair straight and then curl it with straighteners, so the curls simply drop out after an hour. On Saturday I styled my hair normally where I dry sections around a round brush so they have waves, like in the left picture. I was dubious as to whether the styler would add weight to my hair or cause curls to drop out, but it set and smoothed the curls, removing any frizz! 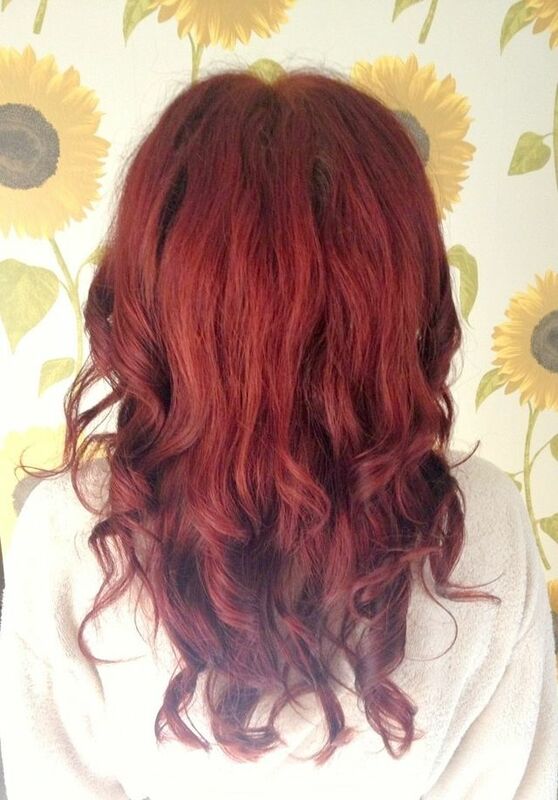 There are lots of YouTube videos of how to curl your hair using straighteners, basically twisting them around and then pulling through at an even pace. I can safely say the curls lasted all day too and have a much sleeker, more shiny finish than using my usual conical wand. 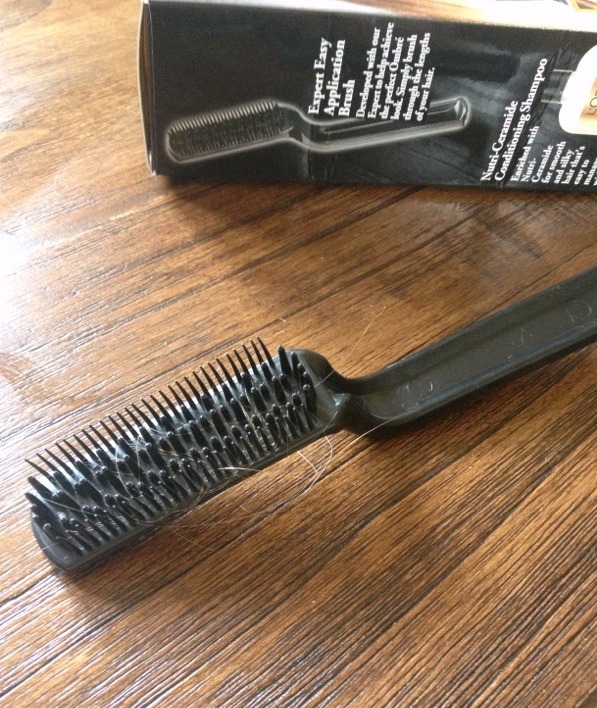 I'm a convert, I've never had expensive hair tools! 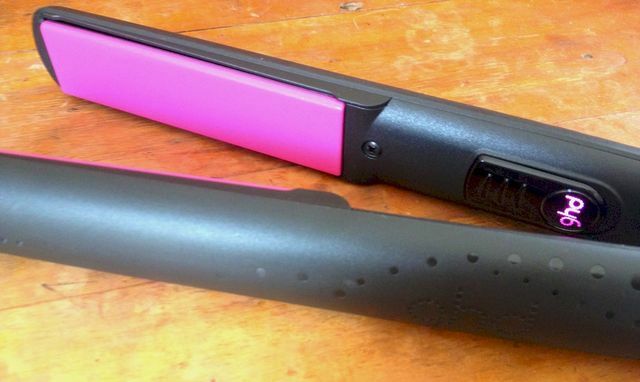 The styler itself is of course divine, with hot pink plates and polka dots, and instead of the mini red light, the 'on' button is a lit up pink ghd logo! 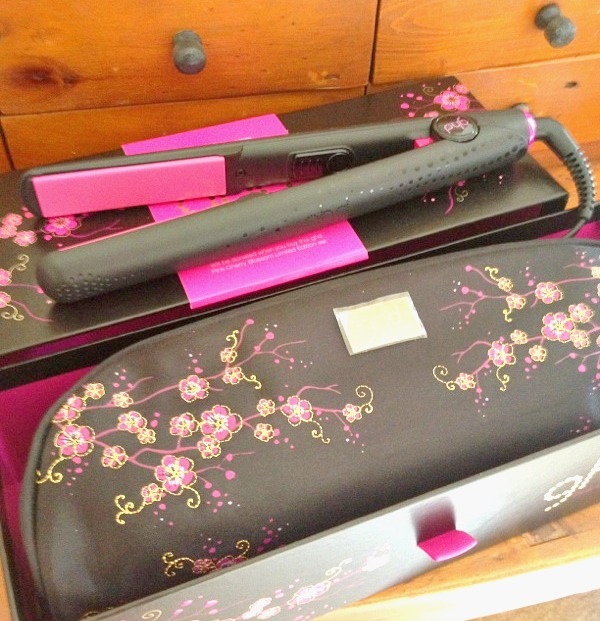 They make you feel glamorous just holding them; my first 'grown up' straighteners. They have a handy bag too with a heat protecting department so you can throw them in while the straighteners are still hot - great when I then have to throw on my dress and dash off! Evening all! 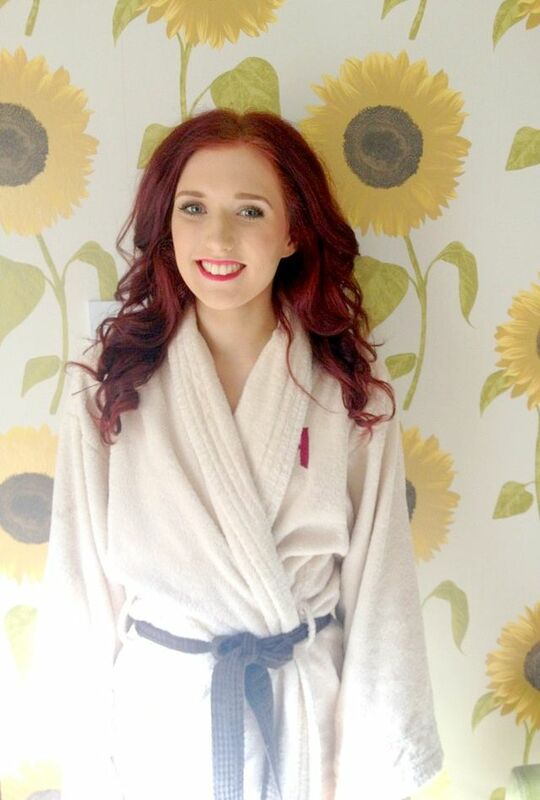 So last week I had a brainwave at work as Motel girl Sophie had started a fashion blog! Sophie works with me talking to all bloggers out there about the current Motel gossip so it was fitting that she joined the blogging world, and you can find her super cute blog Across The Universe here! I've been struggling with ways to take outfit photos as the set up and lighting is just not working in my current room, so I thought maybe we could take snaps of each other when Sophie is in the office! These photos were taken by fellow Motel web team babe Lora, who also takes photos for Motel, and I'm so excited to finally share my current wardrobe with you again! This should make my blog much more accurate with what I'm wearing day to day. So my off shoulder obsession continues with this Motel Debbie Dress worn as a top - one of the few bodycon dresses that I have just worn in the day time! I would have thought off shoulder things would be slightly uncomfortable but you pretty much forget about the neckline as they don't ride up or fall down. I'm still wearing my peach American Apparel Circle Skirt into autumn and want to team it with berry red and dark blue too, and I just wore my studded Topshop flats which are now only £15 in the Topshop sale?! For me I feel totally made together if my shoes and hair are both looking good! Wearing old, tattered ballet flats makes me sad. And how amazing is this inspiration wall?! The Motel design team have an office below ours but they are usually based in Bali, Indonesia, so we can pop in and admire all the upcoming pieces. Hi guys! I am in the mist of a very stretched week as I move out of my house into a new one and tackle a very serious drama involving an exploding smoothie. Yes, somehow my bedroom walls and ceiling are covered in strawberry smoothie, rather similar to a bloodbath shooting, and I am trying to scrub if off to get my deposit back, eeek! Drama aside (if I don't laugh, I'll cry), I had a lovely weekend visiting home, dashing around friends and family in order to see everyone. The train home itself is £33 so I can't go as often as I would like sadly! My Mom lives outside of central Birmingham now so my sister visited her on the same night as me and I helped dye her hair. 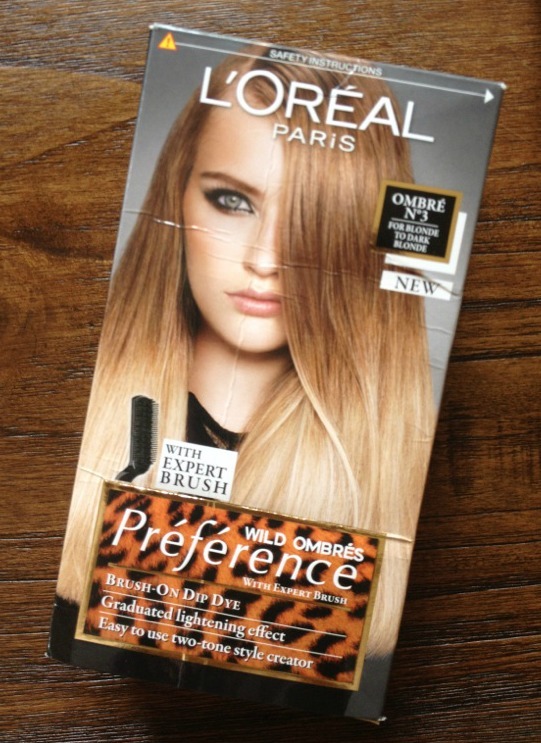 This is almost like a self-narrated guest post and it was her hair, but I thought some of you might be interested in the new L'Oreal Ombré hair dye kits! My sister Chloe works in Superdrug so she bought this before it hit the shelves, probably within the next week or so. The kit is essentially bleach with a comb, coming in three shades to achieve blonde if you have dark blonde - dark brown hair. Chloe already had blonde ends but wanted to take it up a few inches as her hair has grown. 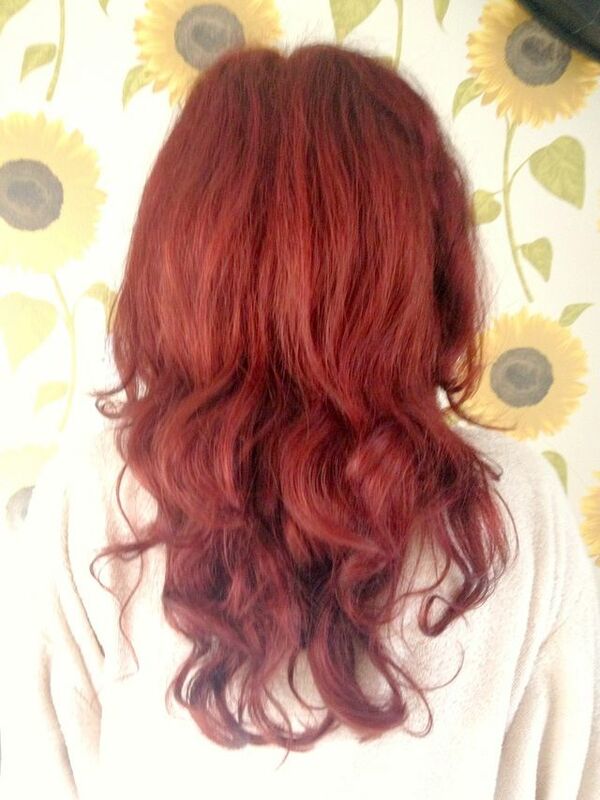 I know nothing of bleaching or hair dying but it was a doddle! You simply squeeze the creme onto the brush and comb it onto the very ends; then comb it lightly on the bits you want to fade. 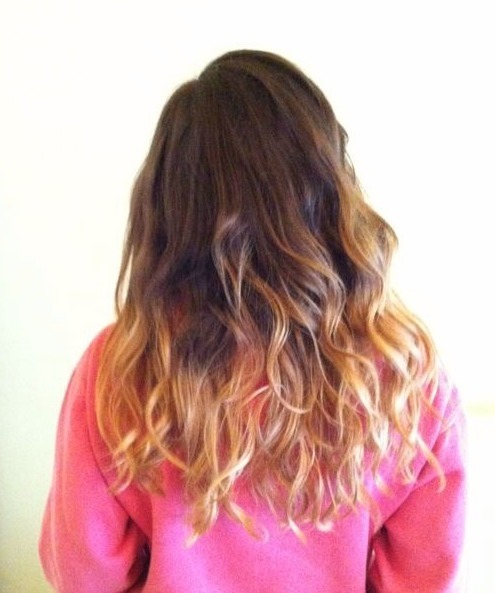 To get an even line, I would get someone else to do it so you aren't reaching around the back of your head, and make sure you lightly brush the underneath too. Chloe's went fine apart from a more obvious brown - blonde line at the back underneath which I must not have brushed properly! I would also tie up the top section of your hair if you have layers so you can spend some dedicated time making them perfect, as that layer will be shown the most! I was answering a tweet about winter coats and spotted the Miss Selfridge mid season sale has launched, ohlala! My favourite high street shops are generally H&M, River Island, New Look and Miss S so if I wasn't saving money, I would have snapped up these beauties in a second. Oh it is miserable not shopping buy hey ho, once I reach a happy bank balance I can shop away! I'm moving house in a few weeks and have to pay two rents in one month, it's very sad times! Black sheer skirt, Black eyelet crop, Floral Crop, Silver Flower Shorts, High Waist Jeggings. 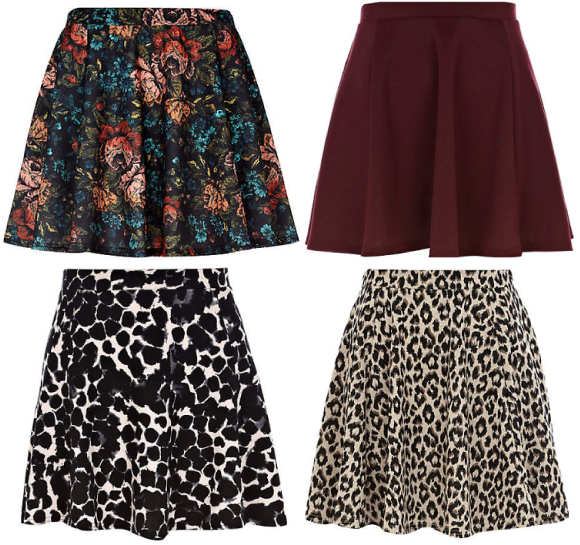 There are lots of sheer skirts in the sale and I think maxis and midis work great in winter with black tights! You could also layer up for a middle ground by wearing bare legs but with cute socks and creepers or ankle boots for maybe drinks after work. It's always great if you find something in the sale at an amazing price that you were about to buy before! I tried on this black eyelet crop top and even bought the floral one, but it was for a specific outfit that I ended up wearing with a top I already owned so I returned it. They're cute and cotton and I swear all I wear is crop tops! I'm quite obsessed with denim shorts right now but I do already own a perfectly fitting pair. I would like a more oversized pair as mine are very short and tight, but how many times in a week exactly can I wear denim shorts!? If I needed a pair, these flower gem ones are really cute and I'd wear a stack of silver jewellery with them. Now the best jeggings I ever bought were these ultra soft ones from Miss Selfridge and the fact they now do them with a high waist and they're in the sale kinda breaks my shopping heart as they look great! I have a bunch of high waist trousers I love though so it wouldn't be worth me buying these right now, but if I was still at uni and hitting lectures all the time, these bad boys would be right up my street. I had a busy week last week and for once was struck down with a terrible cold! I have a suspicion it was freshers flu somehow, which is quite ironic as the memory of being a student is fading fast! I sometimes head to London to visit the Motel Showroom if we have events or meetings, and last week we were filming for a special video *eeeek* and also it was the Motel Bloggers Night Out! 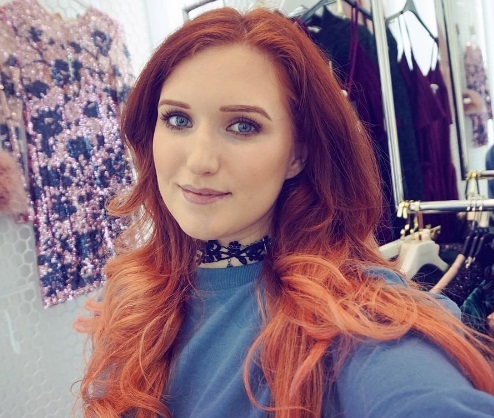 We wanted to treat a few bloggers as the season changes and so we had a pamper session at the showroom with nails and hair, and then we were whisked away to Mahiki for cocktails and a karaoke sesh' in their aptly named No-Tell Motel! It was a miniature vintage faux hotel room with screens everywhere so you could sing in the shower and jump on the bed - it was like stepping into a museum set! You can read a little more about it here but thank you to bloggers Kim, Michelle, Fritha, Aisling, Rosie and Sammi for making it such a fun night! It was a true test for me as I was feeling so ill but I am a grafter and just got on with it; I love doing events! I wore my Litas of course and borrowed the sample of the Jude Dress last minute! I love wearing blue now my hair is more of a deeper red and it really pops under the inky black lace of this dress, which we have in a few other styles too. I wore a dark berry lip but it would be fab with a Hollywood red pout I think! Psst we have free next day shipping and 25% off for students too this week at Motel so now is the time to place your order!